As Christmas approaches - just two weeks away - the shopping days become fewer and fewer. If you're anything like me, you get down to the last couple days; you have no idea what to get someone; and you just simply run out of time. With Christmas falling on a Friday, we can help out any last-minute, weekday shoppers. Even those who are far away or out of state - even those who just "forget." No worries... we've got your back! For those less Internet savvy, we will have our front doors open daily at 8am through the holiday season. Stop in and pick up your gift card in person anytime. You've got until early afternoon on Christmas Eve. This season, why not give the gift of a "nice night out." They order what they want, and you will have given them something thoughtful and hand-picked. After 30 years and brand new renovations, we are not going anywhere. Your purchase is secure here. We are still accepting gift cards from 1985. There is no expiration date. No service fees for inactivity. We can send them directly to your recipients. Send us a list, and we will take care everything. You are done! Nice package. No additional wrapping is needed. 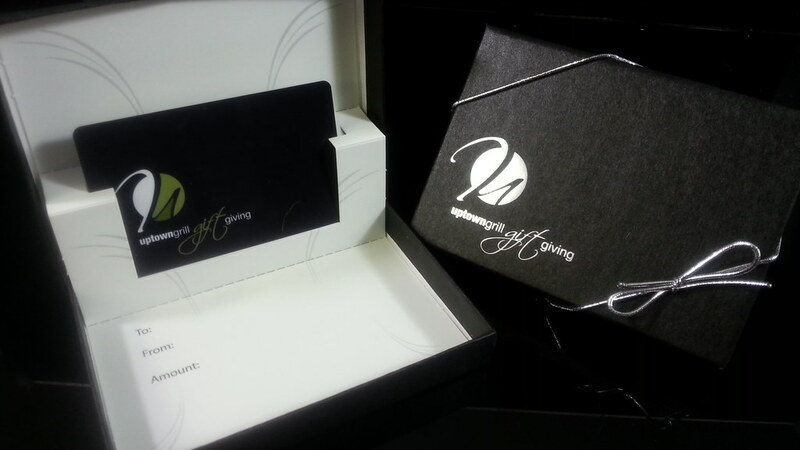 Gift card values not used are carried forward for future use and can also be used towards tipping. We had yet to formally announce it (until now), but we've got a dynamic list of newly booked shows for 2016. So for those of you not into the gift card idea, perhaps tickets to an upcoming show would make the perfect stocking stuffer? One of our most entertaining, fun-loving, enjoyable shows the Theater has ever entertained. This show will most definitely sell-out! Andy Frasco, a 23-year-old blues/jazz musician hailing from the San Fernando Valley in Southern California, is nothing short of an enigma. Influenced by Damien Rice, Sam Cooke, Professor Longhair, Van Morrison and Tom Waits, Frasco’s style is as uninhibited as those artists who inspire him. Let’s call it Party Blues. Two-time Grammy-nominated Kim is a storyteller; a weaver of emotions and a tugger of heartstrings. Tender, poetic and aching with life’s truths, Kim’s songs transport you to her world: where words paint pictures, and melodies touch the soul. And then there’s her voice. Pure, arresting and honest, it makes you take notice; Kim has the kind of voice where if emotions were ribbons, they’d be streaming in rainbow colors from your iPod. Hubbard’s sound calls listeners into his circle of fire and keeps them there, ready to dance. His voice extends from a persona who sometimes seems lost in his own wilderness. A kaleidoscope of hot-blooded Country-Blues, bathed in mysticism, incantations and a deep faith from his 23-year road of sobriety. It has served to allow his musical wakefulness, as well as his eccentricities to roam free on record and live performances.